The College of DuPage Board of Trustees Candidate Forum held on 3-18-19 is available on CODAA’s youtube channel. On March 6 and 7, CODAA officers welcomed 52 members for coffee and cookies outside the CODAA office in the BIC building on COD’s main campus. Many conversations were had and some of these visitors are now newly active members. Due to the success, we will host another event again – so watch your emails. Prizes included gift cards, CODAA/IEA/NEA swag, and even a scarf. Items were donated by CODAA members. If you have any contacts or would like to donate a prize for a future raffle, please contact a CODAA officer or drop by the office. Thank you for being our most important resource. CODAA Spring Membership Meeting will take place Wednesday April 17 in SRC 2131 (across from Human Resources office) 2:30 – 4:30 pm. I want to provide you with some important information. I hope you can join us at one or more of the events listed below. 1. Coffee and Cookies with CODAA: We will be serving coffee and cookies outside the CODAA office on Wednesday, March 6th and Thursday, March 7th (see attached flyer). We invite you to stop by for refreshments, chat with CODAA officers, and ask any questions you might have about CODAA and the benefits you receive as a member. 2. COD Board of Trustees Candidate Forum: CODAA will once again be hosting a non-partisan Candidate Forum to give faculty, staff, students, and community members an opportunity to hear from the candidates running for the Board of Trustees (flyers attached). If you live in district 502,we encourage you to attend this event on March 18th so you can hear the candidate’s positions and ask questions that will help you make an informed decision on who to vote for before the election. As CODAA co-sponsors this event with the Student Leadership Council, you might want to consider, if appropriate, offering extra credit to students who attend the forum. 3. Return your CODAA Election Ballots: If you are an active member, you should have received ballots to vote for CODAA officers and NEA Representative Assembly Delegates. Please be sure to mail in your ballots before the March 12th deadline. 4. Spring Membership Meeting: Save the Date! We will be holding our Spring 2019 Membership meeting on April 17th. Watch for details later this month. CODAA will elect three delegates to represent our members and their interests. Delegates will participate in plenary and breakout sessions. After the RA, the delegates will prepare and submit a report to the CODAA Executive Board. Funds will be available to defray delegate’s expenses. Delegates to previous RA’s have reported that it is an informative and enjoyable weekend. It provides an opportunity to network with your peers from other institutions. Participation is a good way to learn about the issues and challenges that face CODAA, higher education, and the education community in general. I would encourage young academics in particular to consider this form of professional development and service to our profession. To nominate yourself as a candidate to be a delegate from CODAA, simply fill out the attached nomination form and return it to election@codaa.org. Nominations need to be submitted by 6:00 P.M. on November 6, 2018. The election will be held by postal ballot with all votes due not later than December 4. The College of DuPage Adjuncts Association (CODAA) is engaged in an aggressive membership drive. As of mid-October, this drives has resulted in adding 97 new members and increasing active membership to almost 55%. During the Summer 2018, CODAA received a $10,000 grant from the National Education Association (NEA) to bolster support for CODAA by identifying new leaders and increasing membership. A membership drive has been long overdue. Although CODAA engaged in efforts each year to convert Fair Share to Active members through mailings, socials, and membership meetings, the only full-blown membership drive was for CODAA’s inception in 2001. UniServ Director Michelle Couturier, with assistance from NEA’s Michelle Gutierrez, CODAA President Cheryl Baunbach-Caplan, and Lead CODAA Member Organizer Bill Enright, developed the grant proposal. IEA Leadership consisting of Michelle Couturier and Organizer Karen Moore, along with others from the Naperville IEA office, championed laying out the groundwork of this effort by organizing and training the CODAA team of Member Organizers alongside IEA trainers Mike Prehoda and Susan Thorson. CODAA’s membership drive was an impressive demonstration of this year’s NEA slogan “We Are Stronger United.” This collective effort resulted in record-breaking results, as 55% active members represents a 14% increase in membership from June 2018 numbers and is a strong showing for adjunct bargaining units. Cheryl Baunbach-Caplan, Counselor and CODAA President, is proud of the incredible work done by the Member Organizers and CODAA’s Membership Chairs, Vicki Root-Wajda and Rob Robson, who recorded and processed all the new memberships. Michelle, Cheryl, Bonniejean, and Bill, along with the CODAA board, are working diligently to lay out a plan to ensure a continuous and active membership drive aimed at growing the strength of CODAA for years to come. Only as one voice can the individuals be heard on their quest for equity in the academic workplace. 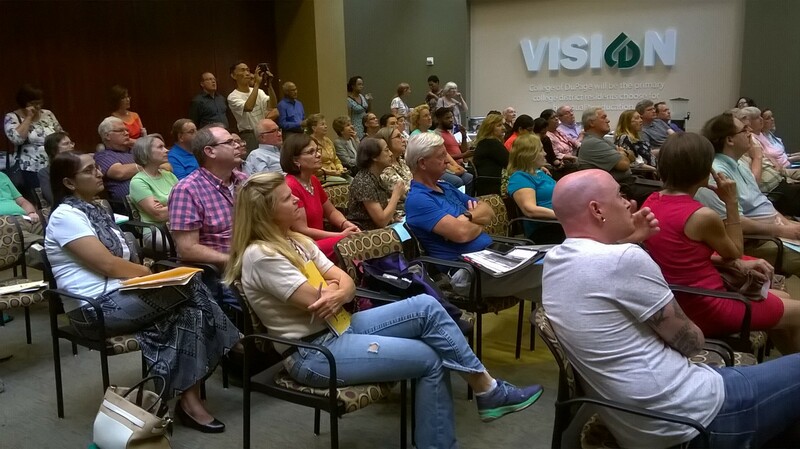 CODAA held its Fall 2018 Membership meeting on August 15, 2018, with approximately 60 people in attendance. Highlights of the meeting included the unanimous approval of the 2018-19 CODAA budget, discussion of contract benefits, including right of assignment, and an explanation of the impact of the recent Supreme Court decision on Janus vs AFSCME. Ten formerly fair share members signed membership forms at the meeting and members had the opportunity to win donated door prizes, including the grand prize of an ipad mini. You may also view a video recording of the meeting posted on our youtube channel. If you wish to become a full CODAA member or are unsure of your membership status, please contact Rob Robson at membership@codaa.org. Members are asked to review the proposed CODAA budget and vote on it at our Membership Meeting on August 15, 2018, from 2:00-4:15 p.m. in 2131 SRC. We are reducing the budget in some categories to reflect the recent Supreme Court decision regarding Fair Share. CODAA recently received a $10,000 grant from the National Education Association (NEA) as part of the NEA Ed Summer organizing program to recruit, welcome, and sign-up new and formerly Fair Share members. Six CODAA members attended extensive training on July 12 and 13 to serve as Member Organizers. These are: Bonniejean Alford, (Sociology adjunct) Bill Enright (Political Science adjunct), Theresa Gant-Misher (English adjunct), Dorothy Hurlburt, (English adjunct), Loretta Pyrdek (English adjunct) and Stella Styrczula (CIS adjunct). 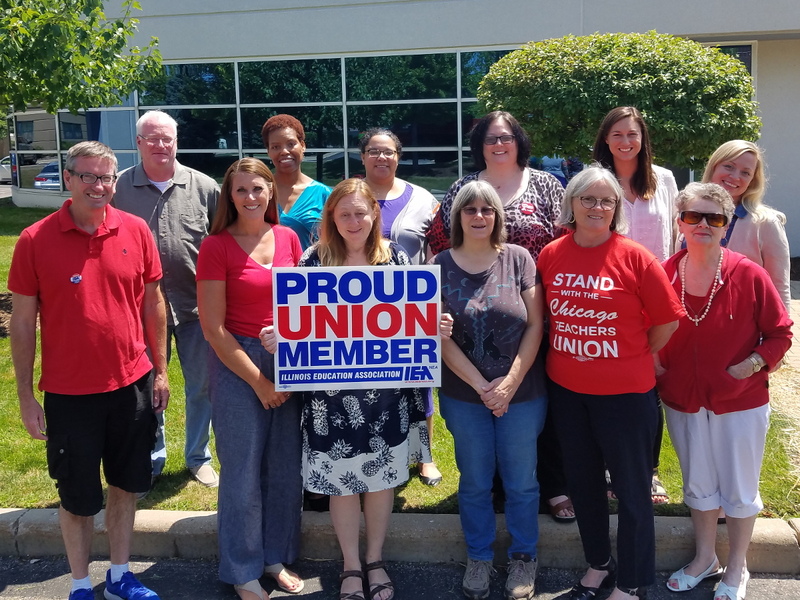 Each Member Organizer will meet with bargaining formerly Fair Share bargaining unit members and newly eligible members between July 16 – August 31 to talk about the value of the union and the importance of supporting CODAA by signing a membership form. They will also be seeking to identify members who may serve as local leaders. Illinois is one of eighteen states to participate in the Ed Summer program. CODAA would like to thank the National Education Association and the Illinois Education Association for their generous grant, which includes compensation for the Member Organizers. The grant proposal was developed by Michelle Gutierrez (NEA), Michelle Couturier (IEA), Cheryl Baunbach-Caplan (CODAA President) , and Bill Enright (Member Organizer and Group Leader). We would also like to thank all the IEA and NEA staff involved in the training and our dedicated Member Organizers for undertaking this important task.